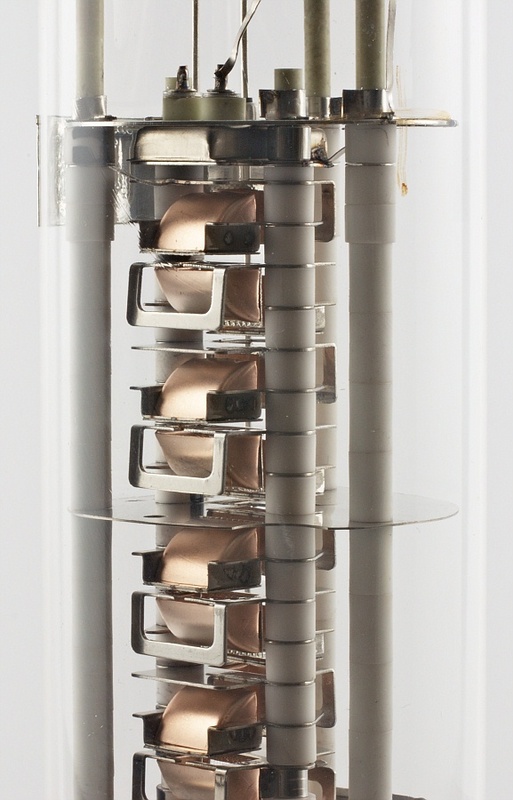 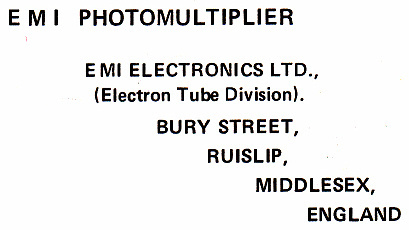 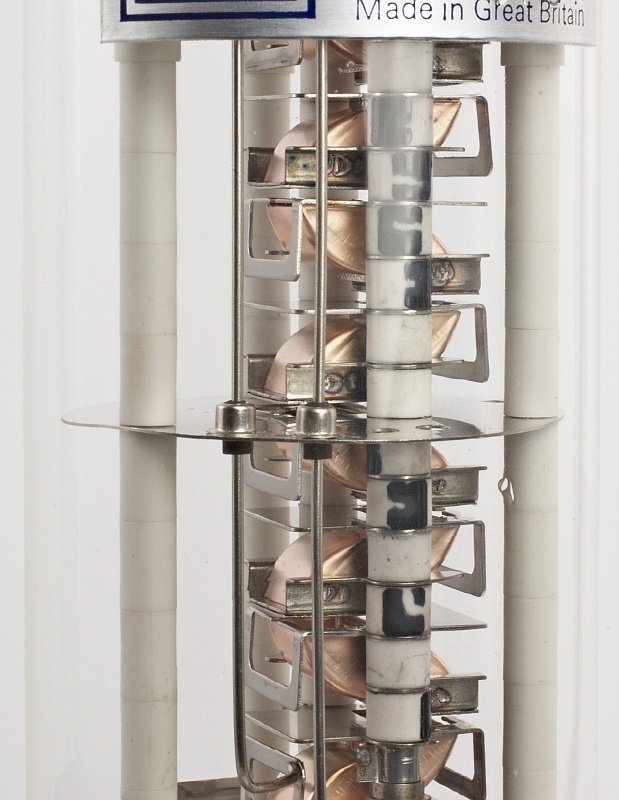 This photomultiplier uses the box and grid system and has 17 BeCu stages. 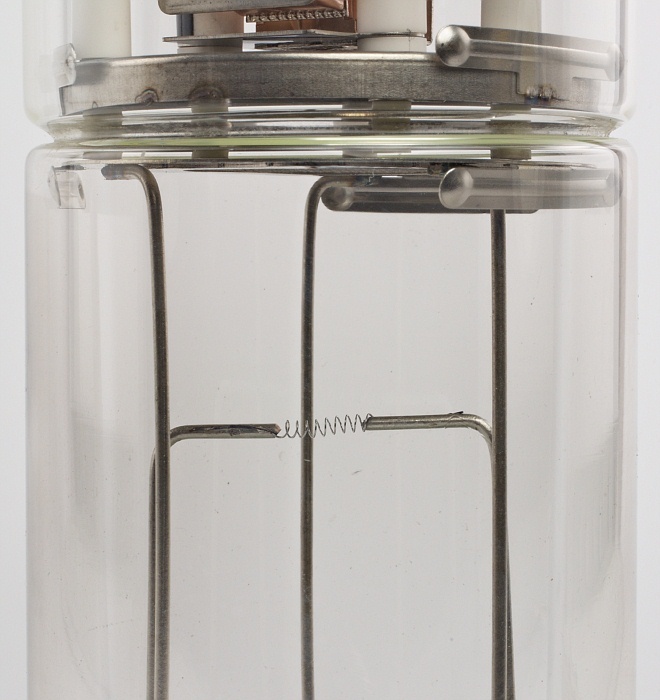 An internal bakeable resistor chain (2MΩ per stage Pyrofilm) is included in the assembly and the first dynode is replaceable. 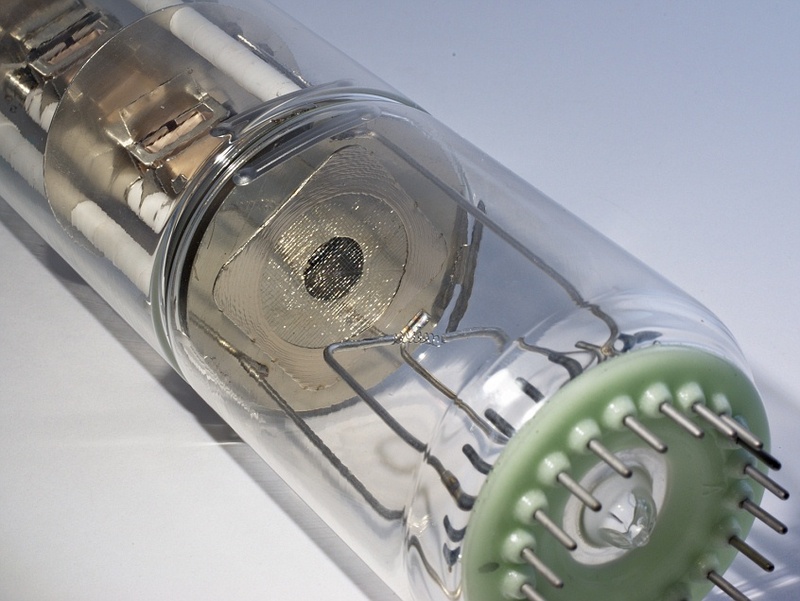 A small tungsten filament is mounted in the multiplier, and thermionic electrons for checking the operation of the multiplier can be produced by applying 1.5 to 2 V at 1.5 A to the filament. 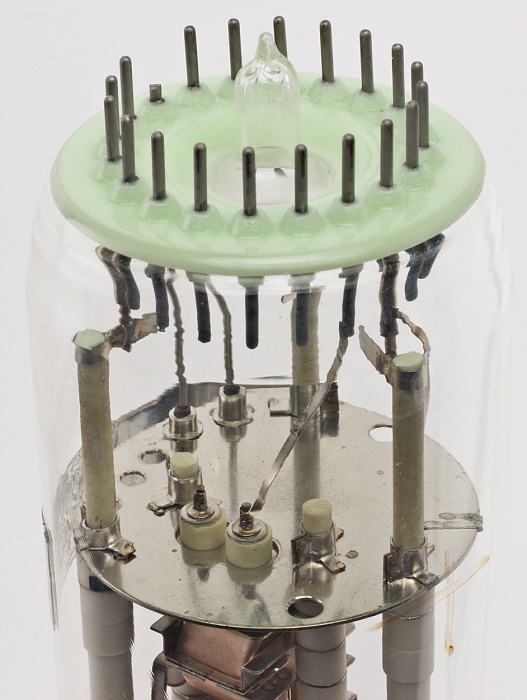 Type 9707B is widely used for ion detection in mass spectrometer systems.